We went to Copenhagen a few weeks ago. It was freeeeezing. Although I questioned my own decision making skills several times during the trip (who plans a trip to Copenhagen the first week in February?) I’m actually really happy I got to see it in winter. Brittany and I had been planning on doing a house swap (she stays at my place in Paris while we stay in her place in Copenhagen.) Our tickets were 60 Euros(!) so we were able to do the trip on a shoesstring budget. Our friends Rubi and Stanton came with us, they were amazing and so fun to travel with especially considering we take forever to do anything since we have kids. I don’t know if we were underdressed or just not used to the cold weather but it was the kind of cold that you would go out for two minutes and be chilled to the bone–even with layers on. We ended up renting a car and it was a lot better after that. Something about always knowing there was a a warm spot 10 minutes away made the cold easier to deal with. I absolutely loved the city, it was beautiful and modern and lots of people riding bikes (even in the snow!) The price of food surprised me. I’m used to living in expensive cities but the food was expensive. Danish design totally lives up to the hype. We went to all the beautiful design stores like Illum Bolighus and Hay, they were stunning. 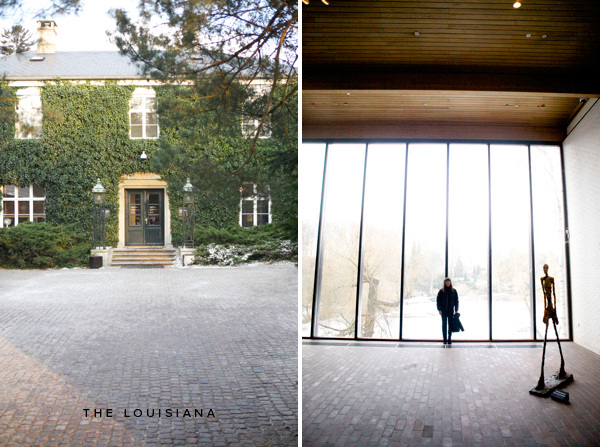 My favorite thing of the trip had to be the Louisiana Museum. It was about an hour out of the city. The art was amazing and the museum architecture alone was worth making the the trip. 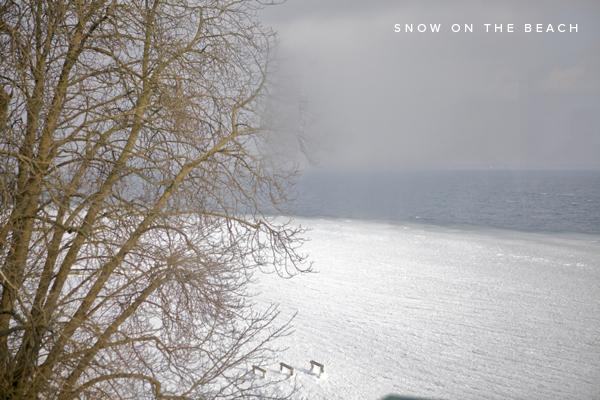 It overlooks the ocean and we went the day it snowed so there was snow on the beach, it was one of the most beautiful things I’ve ever seen. 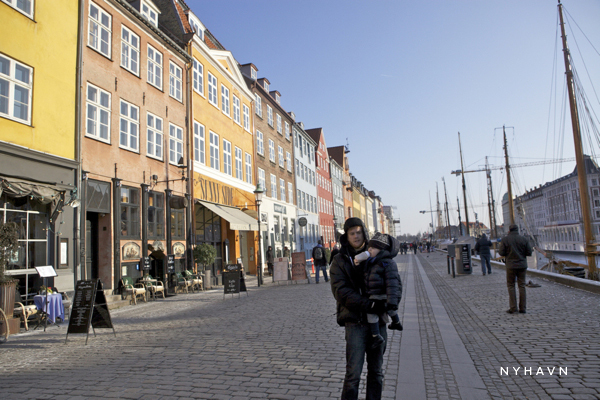 Everyone went to Christianshavn one evening after I headed back to put to the kids to sleep. So I’ll have to see that on another trip. I also would have LOVED to see Tivoli but it was closed and I have a feeling it would be better experienced when it is warm out anyway. A perfect reason to go back. 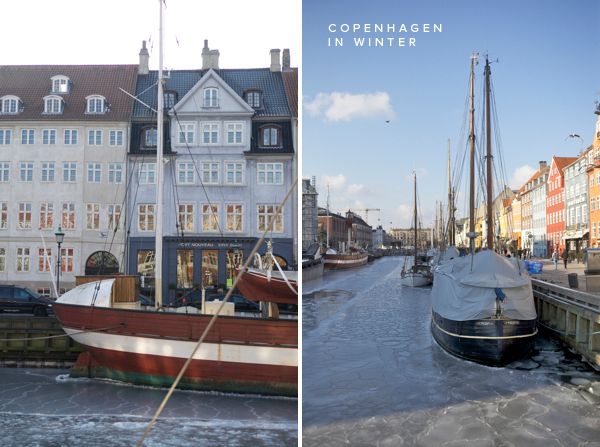 Have you ever been to Copenhagen in the winter? 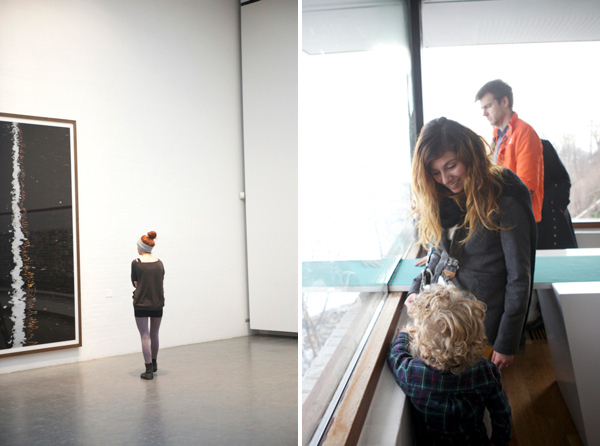 So happy to hear that you loved Copenhagen too. I went there in college to visit a friend in December and had an incredible time. It wasn’t as cold then plus I was already coming from cold Northern Germany so I don’t even remember the weather being an issue. However, I do remember thinking it was the most amazing place I’d ever been. I think it may still be my favorite city in Europe, after Paris that is. Wow it looks freezing! Looks great though. Copenhagen has been on my visit list for a while, but the expense always scares me a bit! I am watching a lot of Danish TV dramas lately and so want to go even more! This is one of the most gorgeous travel reports ever – really makes me want to get tickets! Have a great weekend! Everything looks so beautiful and cold too : ) , great post, have a lovely day!. Wow, that snow on the beach picture is so neat! awesome. I really do feel so bad that you got Copenhagen on probably the coldest weekend of the winter. If there were to be a next time I’d have you come back in July. 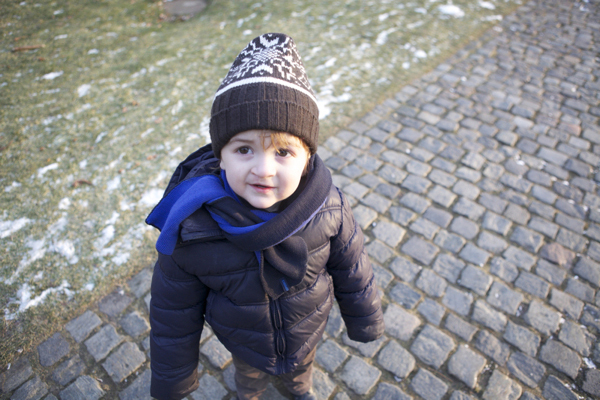 Yes, Copenhagen is indeed freezing! 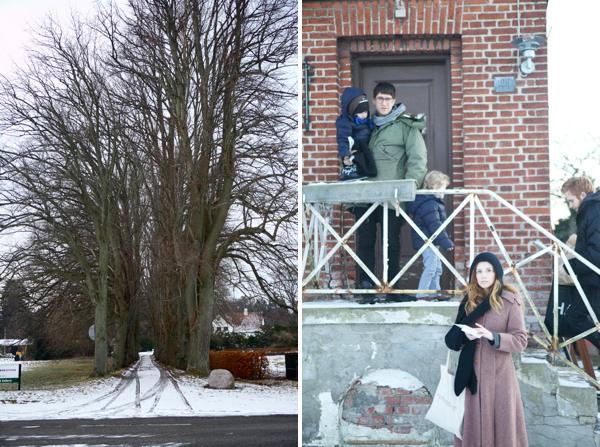 It is true that it has been extremely cold here in Denmark the last couple of weeks, it has been quite insane. I live here in Denmark and are used to the cold winter, but this year’s February I think has been one of the coldest for several years. I’m glad you liked the city, though. I got very excited to see that you visited Copenhagen since I live here (well, I live half an hour’s car drive away) Please come back someday and visit Tivoli. In my opinion, Tivoli really is something on it’s own. It has a certain charm. 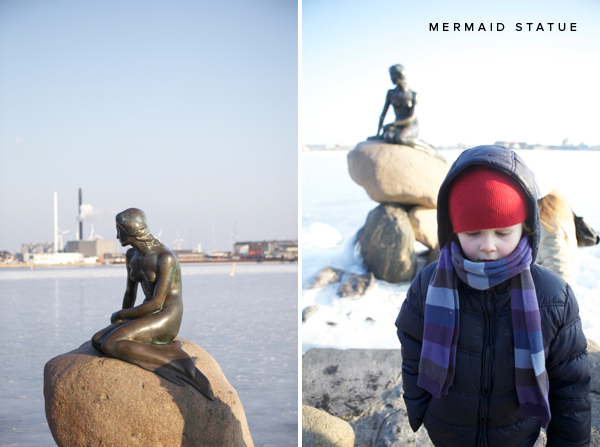 we went to copenhagen two years ago and seeing these pictures reminds me that i need to go back! especially the hot dog picture! who knew a hot dog could be so delicious?! What a lovely post. I had never really considered Copenhagen before but now it’s on my list. I don’t remember the food being more expensive than other places, but…maybe I wasn’t paying close attention. I do remember that trying to find a Danish pastry in Denmark was a challenge. 😛 Once I found something appearing to be a danish, I forget what the clerk called it, but it was German. Hahaha, d’oh! My family is from Denmark. They live in Horsens. Next time def go to Tivoli! So pretty and so much fun! Legoland is always fun too for your kids! My great grandfather has a mill there that is really beautiful too. Every time I read about your trips I get the itch to go back to Europe again. It’s such a fantastic place. Congrats on all of your adventures. what is the title of that installation? trying to find more info online, looks so rad! Oh wow, I was in Copenhagen the same weekend you were! Wish I could have stayed longer— seeing your post makes me want to explore it more but alas, I live in Los Angeles. Definitely go to Christianshavn next time— there was a great bakery that sold one of the most amazing pastries I’ve ever eaten– trykesnegl I think it was called? According to the googles, the rough English translation of that name is “squashed snail”! And gosh, it WAS freaaaaaking cold that whole weekend. The trip looks cold, but very fun. 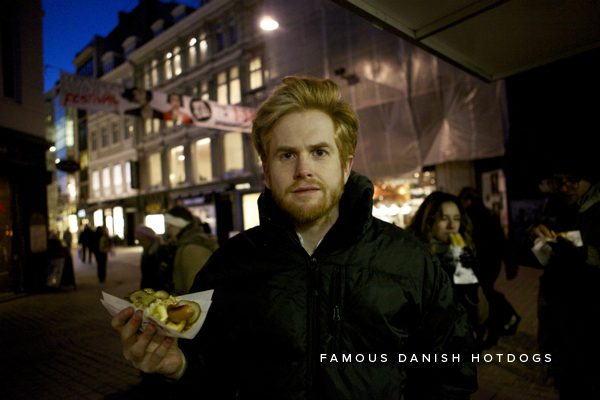 The area looks like there is a lot of character and the Danish hot dog looks yummy! Oh, DEFINITELY go back in the summer. I spent my entire 14th birthday at Tivoli – we were there when the gates opened, and we stayed for a concert and left as they were sweeping up… it still counts as one of the best days of my life! I have recently been to Copenhagen, in January, to be precise. It was SO cold, especially since you seem to have had at least sunny weather, but when I went, it was really wet and windy all the time. Regardless I’m in love with the city, it’s so modern and beautiful and I think it’s just the right size, not too big, not too small. The Danes were so lovely, everybody seemed really laid back, which I love, and I especially noticed how great they are with their children. 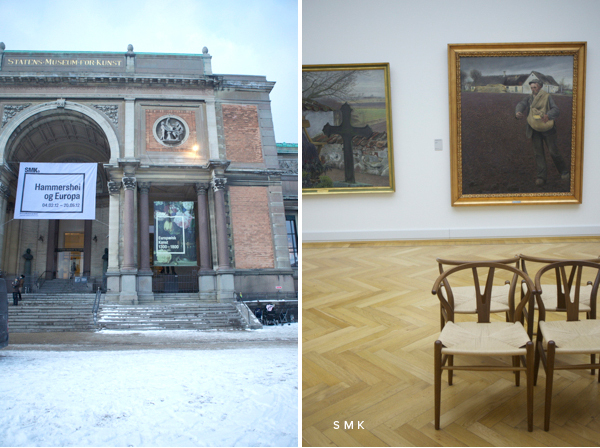 Oh, and I read somewhere before that Copenhagen is one of the most expensive cities in the world, but yes, we had trouble finding affordable food Next time you go, I insist you visit the Ny Carlsberg Glyptotek. I have to say that, because I’m an archaeologist, but even if you’re not into the sculptures and portraits, the architecture is just stunning. I’ll stop rambling now. Have a fantastic day! Looks beautiful, but freezing. I was cold just looking at the pictures, but I get cold pretty easily, haha. 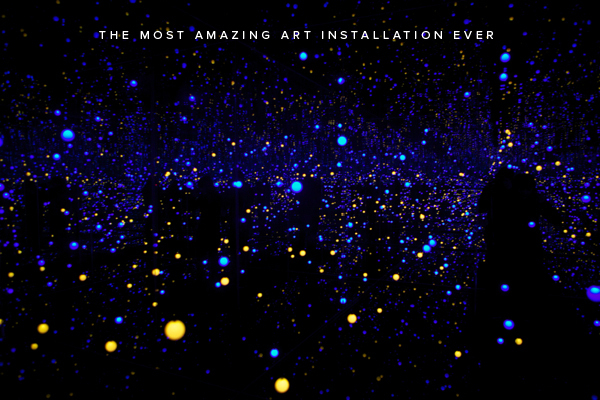 I love that installation too! I’m so glad they made it permanent. Every time we go to Louisiana (I live just across from there, on the Swedish coast) I have to go in to that space and it’s just bliss. We went to Copenhagen a few years back in November and I loved it. One of my most favourite cities in the world. Ahh, Dearest Copenhagen! Such a wonderful city, I think my love for this place grew even more after aquiring a wonderful friend from the city. It always delights to hear or read, others impressions. So pleased you loved it. Thanks for a wonderful blog! I have read through most of your posts (it has taken some time… :-)), and you have truly great ideas as well as lovely photos. A great source of inspiration! 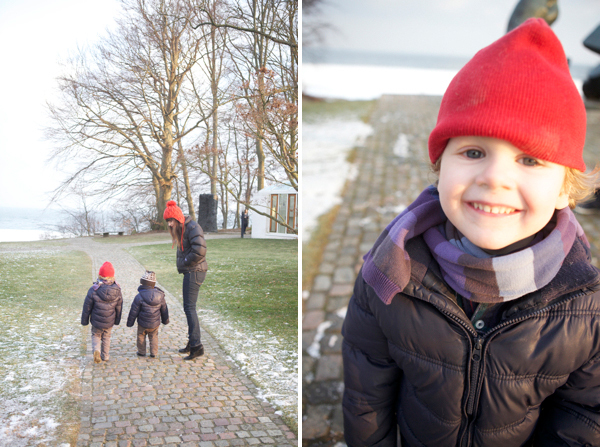 We absolutely LOVE living here in Denmark, but you definitely came on the coldest weekend! It is not normally that cold, thankfully! We recorded an episode of House Hunters Int’l that weekend and I thought we were going to freeze to death! I highly recommend coming back during the summer. The city has a completely different feel and there is so much more to do, like enjoying walks by the sea, picnicking in the parks, and strolling by the lakes. I bet your boys would love going for a ride in a cargo bike, too! I have never researched if they rent them, but I would be happy to lend you mine. It’s how we get our kids to and from school each day! Omg I went to Copenhagen last summer for work and went to the Louisiana. Saw a random door in a little cubby and was like what is this. Yah turned into crazy lights room. It was so cool. Tivoli is so lovely in the winter. It’s open for Christmas and Danish Christmas (Jul) is really one of the most wonderful things that you’ll ever experience. Of course, Tivoli is a great place to go in the summer as well, but there’s something really special about being there in the cold, in December, eating warm aeblskiver, and keeping your eyes peeled for mischievous nissermands. wow! what a cool place! sooo looking forward to go there! have fun! I don’t know if I could deal with such cold weather, but I’d love to see Copenhagen! Rubi hair looks gorgeous, as always. Beautiful pictures! I’d love to go there! I absolutely LOVE this post; I feel like I just had a mini-trip to Copenhagen via your beautiful words and pictures (and so enjoyed your pictures on Instagram too). Also, just wanted to say that although I don’t comment on here often, your blog brings me so much joy and makes me smile out loud everytime I read it! You just ooze the kind of happiness and adventurous spirit that comes with having moved half way around the world to discover a new perspective (I did the same thing from Australia to Cambridge in England and still love every day). Your trip looks like a wonderful time. I simply must visit the louisana museum. Thanks for noting it. 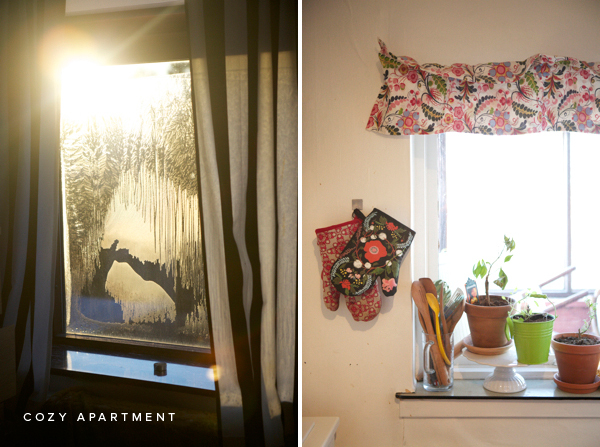 Love this photo series and how you make the everyday travel scene look so beautiful and special.